Kalimnos or Kalymnos This island of barren rock, golden beaches and tiny green valleys owes its fame to its celebrated sponge fishers. This is the main profession for men on the island, and the theme for many local dances and folk songs. Sponge-fishing means a yearly excursion to the seas off the North African coast. Sponge-fishers of Kalymnos leave with their boats every spring. Archpolis is a small, busy, traditional village. Its first inhabitants lived on the mountain known as Axintes. 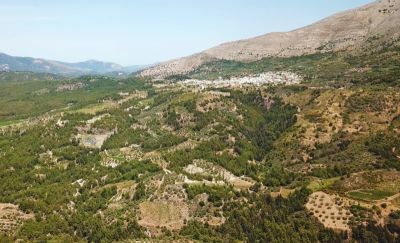 According to tradition Archipolis owns its name to a prince called Archepolis, who came from Crete and chose this region to recover from a serious illness. The settlement’s thoroughfare is the centre of attraction with its small shops, taverns, cafés and bars. 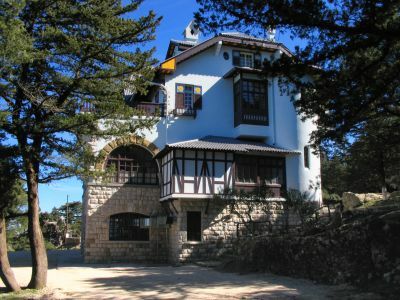 As mountains planted with centuries old pine trees surround the village, clear mountain fresh air with the aroma from the pine trees is the main trait of the region. Three km off the village, there stands a magnificent church dedicated to Saint Nektarius, a very popular venue for weddings and christening services as it is large and very picturesque. You can find many icons and frescos inside-well worth stopping here. 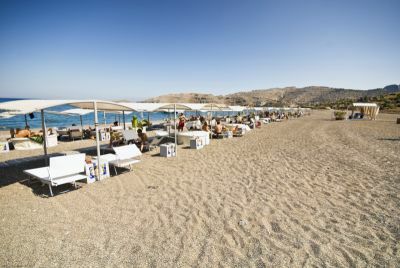 Partly traditional and partly a small resort town, the village of Kalathos offers one of the longest and most quiet beaches on the island. Embonas (also: Emponas or Embona) is the most important grape-producing village on Rhodes. Come around harvest time, and you will find the streets being full of baskets and the courtyards being spread with raisins soaking up the sun.